When novelist Kurt Vonnegut died in 2007, Sports Illustrated ran an obituary. This was unusual. SI typically runs short obituaries of deceased sports figures, but Kurt Vonnegut a sports figure? It got my attention. It turns out Sports Illustrated published a Vonnegut obituary because Vonnegut was an ex-employee. In 1954, Vonnegut was hired as part of the magazine's first writing staff. He was assigned to write a caption for a photograph in the premier issue. He was given a photo of a horse that had jumped the rail at Aqueduct Racetrack and run through the infield. According to SI, "Vonnegut pondered the task, typed one sentence and then walked out of his office, never to return." The one sentence he typed for Sports Illustrated, before going on to write Cat's Cradle, Slaughterhouse Five, Welcome to the Monkey House, and all the other extraordinary works that made him a major figure in twentieth century American literature? "The horse jumped over the f***ing fence." That was it. That was all he could come up with. And apparently the unspeakable banality of the task and the prospect of coming in to work every day and writing sentences like that one, drove him right out the door. I remembered this story after beginning the second hour of staring at a blank word processor screen, all the while cursing Jon Huddleston for asking me to write an essay for Reflections. Jon wanted me write something that would help show that judges are real people and not all just insulting bombasts like “Judge Judy” and her TV cohorts. So okay-- here goes nothing. What do Perry Mason, Dr. H. Edward Roberts, M.D., and 1960s-era TV chef Graham Kerr, a.k.a The Galloping Gourmet, have in common? Well, me actually. The original script called for me to be an engineer. My father was the son of a coal miner and he was a self-taught engineer and inventor whose dream was to have his eldest son (me), become the first person on either side of my family to go to college. He had it all worked out. I was supposed to study engineering and eventually join the family business of designing and manufacturing parts for power plant turbines. Unfortunately for my father, what proved fatal to his Grand Plan was the Saturday night father-and-son bonding ritual that we engaged in from 1957 to 1965: we watched Raymond Burr, in the role of Erle Stanley Gardner’s fictional lawyer, Perry Mason, battle it out every week in a television courtroom on behalf of a wrongfully accused client. From that point on, I was hooked on the law. When years later I worked up the nerve to tell my father that I wanted to attend law school, his response was, “Well, I suppose a law degree can be useful in the business world.” Sorry Dad, the courtroom was where I wanted to be and it is where I have been happy for the last thirty-three years. But there is life outside the law, and the best things in life aren’t things. Supreme Court Justice William O. Douglas noted that “a lifetime diet of the law alone will turn any judge into a dull, dry husk.” No one will ever refer to me as a Renaissance man, but I do have interests beyond the law that, along with my family, keep me, more or less, grounded. First, I love to teach (Okay, I’ll admit up front that I do my teaching as an adjunct at a law school but it is the challenge of interacting with young, inquisitive minds that draws me more than the subject matter); second, I like to cook (not just grillin’ ribs and such, but really cooking – with actual pots and pans); and finally, I really enjoy the challenge of building, repairing, and programming computers. So I guess that makes me more of a neoclassical-gastronomic-digital kind of man. As for the judge thing, in my case, I can only assume I am a Roman Hruska sort of appointment. You may remember Roman Hruska. He was the senator from Nebraska who in 1970 argued in favor of G. Harrold Carswell's confirmation to the U. S.Supreme Court on the basis that "Even if he was mediocre, there are a lot of mediocre judges and people and lawyers. They are entitled to a little representation, aren't they, and a little chance? We can't all be Brandeises and Cardozos and Frankfurters and stuff like that there." What my more Frankfurtian friend and colleague Chief Judge Walter Felton has described here as his “journey” has been more of an aimless walkabout for me when it comes to things outside of holding down the “mediocre seat” on the Court of Appeals. I was a geek before geek was chic. As a 12-year-old, I spent my allowance on magazine subscriptions to Popular Science and Popular Electronics and my senior high school science fair entry was a low amperage, high voltage device that definitely did not amuse my teacher or the school principal. They call those things “Tasers” these days. My particular interest in all things digital spawned back in the 1970s when, like Bill Gates and Paul Allen, I was captivated by an article in a 1975 issue of Popular Electronics about a guy from Phoenix named Ed Roberts. Roberts came up with the first commercially successful computer smaller than a Buick and sold it as a “homebrew” kit. He called it the MITS Altair. I realized then that if everybody had a “personal” computer, the effect on society would be revolutionary, and I wanted to be a part of that revolution. Gates and Allen founded Microsoft and got stinking rich, Roberts made a little bit of money from his invention and used it to go on to medical school, the MITS Altair is now in the Smithsonian, and, although I haven’t made a dime out of it, I have had an awful lot of fun building, modifying, and programming personal computers and consulting on their use in and around the courtroom ever since. Now on the other hand, cooking is a hobby that does not depend upon either legal precedent or the laws of physics and binary logic for a successful outcome. I can be as creative in the kitchen as I want or at least as creative as I dare. Urbane 1960s-era TV chef Graham Kerr, the Galloping Gourmet, turned me on to cooking as a teenager and once I realized that testosterone was compatible with preparing Italian, southwestern and low country cuisine, I haven’t looked back. In my prior lives in private practice, as a prosecutor, and especially during my time as commonwealth’s attorney in Virginia Beach, I was lucky if I could eat a meal with my family, much less find the time to actually prepare it. However, my current job complements this particular hobby pretty well. Every appellate judge in Virginia will tell you that you can’t do the job if you don’t take a lot of work home with you. Fortunately, I have learned that you can read quite a few briefs while the marinara is simmering (you also find yourself taking briefs or petitions to read in the waiting room every time you go to the doctor, dentist, or car repair shop, but that is another essay). Alas, the downside of my expanded ability to indulge this particular passion is my equally expanded waistline. If you have not yet read it, I commend to your attention Frank Ceresi’s essay on these pages, “Is there Life After Law?” The short answer to Frank’s question is “yes, there certainly is” but there is also life in and around the law. The lawyers and judges writing these essays love what we do but the law isn’t all we do, nor should it be. However varied my outside activities might be, my interest in and love for the intricacies and application of the law has been a constant. After a long career as a trial lawyer, mostly as a prosecutor, I am now completing my tenth year on the bench. I thought I was grading out reasonably well. Keep in mind, the best grade a judge ever gets is 50 percent. By definition, half the lawyers and their clients who read your opinions think that you screwed up. If your case has several parties on one side, your grades can slip even further. But no one had shown up at my doorstep with torches and pitchforks, and so I thought my judicial career was trundling along nicely, thank you very much. However, I learned the hard way in 2008 that you can’t take reappointment to the bench for granted. So as I get closer to the day when they are going to make me retire from the business of judging, I am torn about the future. Playing golf or working on my tan on a Florida beach just isn’t for me. So my dilemma is going to be whether or not I can make a business model work that involves teaching, cooking, and information technology. Perhaps an Internet café that offers CLE credits and mediation services … . By the way, my father got over his disappointment with my choice of careers. He lived long enough to see me elected commonwealth’s attorney in Virginia Beach and, later, to the Court of Appeals. A couple of weeks before his death, we had one of those great father-son conversations in which he grudgingly admitted that he was actually proud of me for standing up to him and going my own way through life. 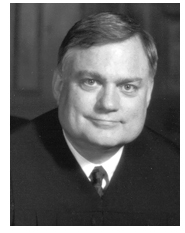 Before joining the Court of Appeals of Virginia in 2000, Judge Humphreys served as an Assistant Attorney General for the State of Delaware, Assistant Commonwealth’s Attorney in Norfolk, Virginia and Chief Deputy Commonwealth’s Attorney in Virginia Beach, as a partner in the law firm of McCardell, Inman, Benson, Strickler & Humphreys, P.C. in Virginia Beach and he served as Commonwealth's Attorney of Virginia Beach from 1990 - 2000. He is a past president of the Virginia Association of Commonwealth’s Attorneys and past Chairman of the Commonwealth’s Attorneys Services Council. In 1996, he received the Robert F. Horan Award for Outstanding Service to Virginia prosecutors from the Virginia Association of Commonwealth’s Attorneys. Judge Humphreys has also served on several presidential, legislative and gubernatorial commissions including the President Clinton’s Presidential Advisory Committee on a Global Criminal Justice Information Network, Virginia’s Parole Abolition and Sentencing Reform Commission, the Virginia State Crime Commission and the Writ of Actual Innocence study commission. In 2005, Governor Mark Warner appointed him as Special Master to oversee a review of the procedures used in DNA analyses conducted by the Virginia Department of Forensic Science. He recently chaired the Virginia State Bar Task Force on Revisions to Rule 4.2, Rules of Professional Responsibility. He also currently serves as the Vice-Chairman of the Virginia Criminal Sentencing Commission and as President of the James Kent American Inn of Court.